“We are looking forward to speaking on the St John’s Church Weekend and are very pleased to have been invited! It is lovely to hear just how many of you have booked up already. It feels to us that this will be a significant time for St John’s as you look to the future and prepare to welcome a new incumbent. We look forward to introducing ourselves to you more personally when we meet face to face on the weekend, but here are just a few brief bits of biography. In terms of ordained ministry, this has taken us from training in Nottingham (where incidentally we met and married) to Curacies (for Kevin) at Beverley Minster and at St James’, Reading, to a long incumbency as Vicar of Meole Brace in Shrewsbury (now Trinity Churches), and then seven years as Archdeacon of Carlisle and Canon of Carlisle Cathedral. 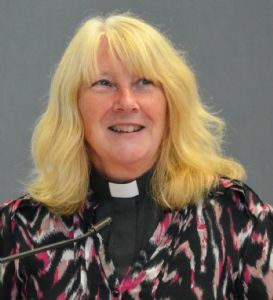 Anne’s ministry has been in the same locations, but from her ordination in 1996 she has ministered mainly in chaplaincy settings, mostly healthcare, but also nine years in school chaplaincy and latterly as domestic Chaplain to the Bishop of Bath and Wells and Chaplain to the Bishop’s Palace staff, volunteers and visitors. It has been a fascinating and exhilarating ministry journey for us both, and a privilege to serve in different locations and in different dimensions of church leadership. 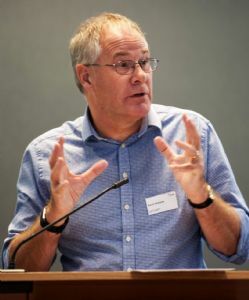 In 2016 Kevin became the national Director of ReSource for Anglican Renewal Ministries, which initially took us south to Wells, but has more recently brought us back to Shropshire, with new offices in Telford, which will better serve us for a national work. ReSource’s Vision is to see churches ‘Alive in the Spirit and Active in Mission’, and works primarily ‘to enable little, local and ordinary churches to engage with the Holy Spirit for renewal, discipleship and mission’. It is a delight to see what God is doing in churches across the country, and to work within the mainstream of the Church of England and other denominations for a depth of spiritual renewal which turns the church outwards in confident evangelism and missional engagement with the world around. On a personal note we should say that we are the proud parents of three children and doting grandparents to our four grandchildren, of which more when we meet!